Intel Corporation (NASDAQ:INTC) is again in the news with its advanced gadget display at the CES 2015 and the chipmaker attracted tech experts from all around the globe. The CEO displayed wrist-worn flying camera and a computer that is built on a jacket button. Along with these advanced gadgets, the company promised to invest in tech education of women and promised to hire more female employees in future. Intel was a little slow to the mobile chip market but now it is on its toes with new chips and wearable gadgets. The CEO of Intel, Brian Krzanich, mentioned the efforts of the company in designing computerized apparels and wearable gadgets that are the future of the tech industry. Krzanich introduced an advanced button-sized computer, Curie, designed for smart clothes and the device comes with Bluetooth radio. In addition to it, Krzanich launched Nixie, small flying drone with a camera, which has the ability to navigate around obstacles. In addition to these fancy gadgets, Intel Corporation (NASDAQ:INTC) also announced to employ more female employees by 2020 and improve its female and minorities representation. In 2013, the chipmaker had only a quarter of female employees in its U.S. workforce. The company promised to invest $300 million in math education that can help more women and minorities to join technology industry. What was more interesting is fact that Intel Corporation (NASDAQ:INTC) talked about creating smarter technologies including autonomous drones, sight-assisting jackets, intelligent doorways, and even a more connected world. Intel was late to the mobile world but it is not likely to repeat the same mistake again. 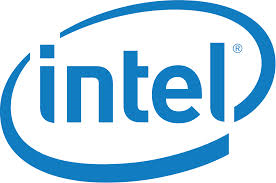 The shares of Intel Corporation (NASDAQ:INTC) are trading at $35.28 with current P/E ratio of 16.84.